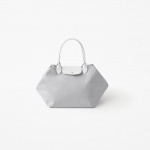 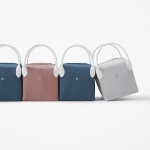 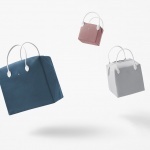 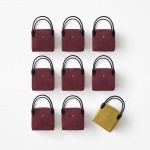 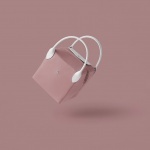 A collection of handbags designed for the French luxury leather goods brand Longchamp.The brand’s iconic “Le Pliage” bag collection was inspired by Japanese origami and is famous for its light structure and compact foldable shape. 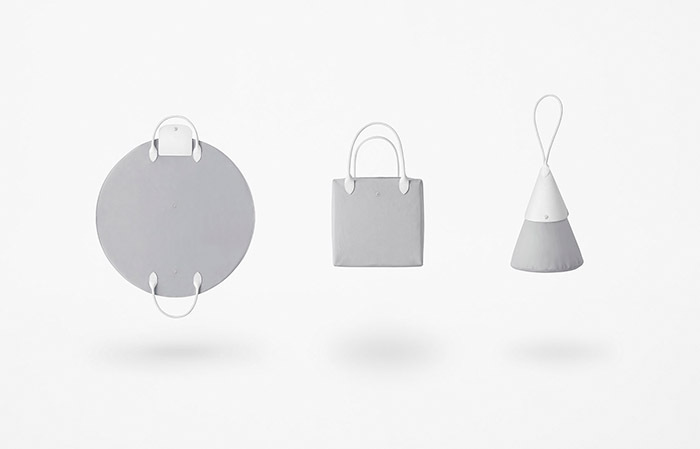 The design of the new collection originated from the same basic concept and introduces three new shapes of a cube, a cone and a flat circle. 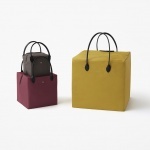 When carried as bags and the other when folded or rolled away, the new collection offers a third experience by adding new functions for the bags when placed resting around the house. 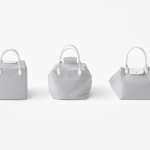 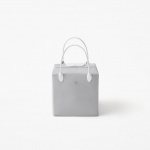 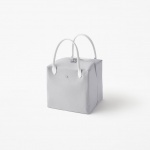 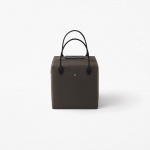 When in use, the bag’s size changes according to the content it carries, therefore it is flexible in function; combing both compactness and maximum capacity.The cube shaped bag that keeps its geometric silhouette thanks to a detachable insole, can be used as a flexible storage box when placed in a room. 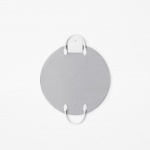 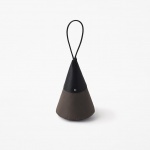 The triangular bag easily connects to a hook and can store small accessories when placed in the closet or on a rack. 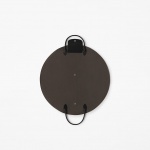 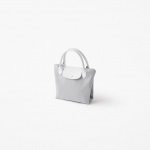 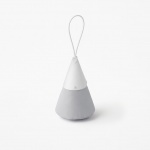 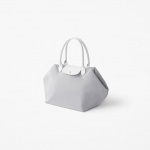 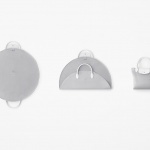 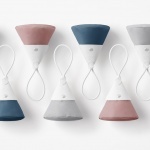 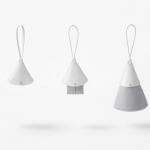 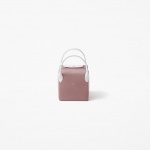 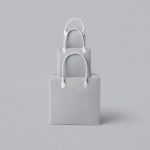 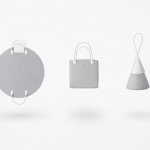 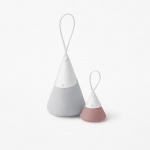 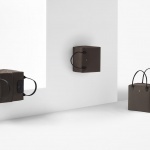 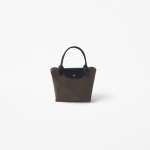 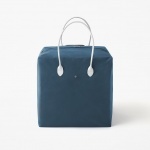 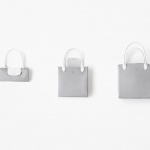 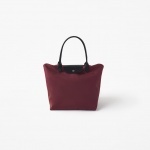 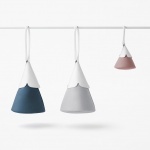 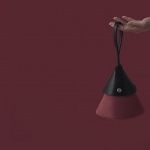 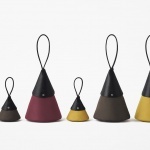 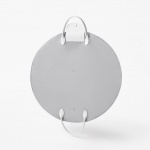 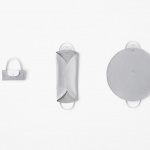 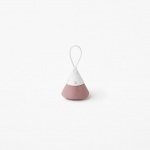 The bag can be opened effortlessly even when hanged thanks to its cone-shaped leather top.The same leather top also holds the softer part of the bag when it needs to be compactly folded away. 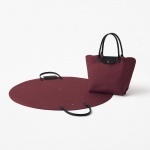 The round bag, similar to a Japanese wrapping cloth, becomes flat when stored away. 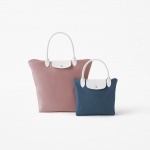 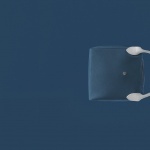 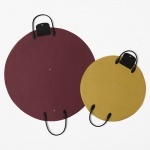 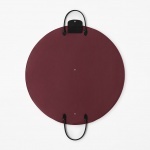 The new designs offer flexibility and additional functions to the well-known “Le Pliage” collection. 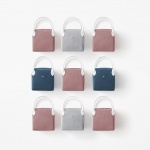 It also introduces six new colour variations and optional sizes, while still maintaining the company’s recognisable nylon fabric with the iconic embossed leather handles and flap.